Acknowledged for their economical and light structure, easy portability and safe use, our Industrial Sheds are pretty popular among the customers. As a prominent figure, our quality remains in synchronization with our stellar reputation. They are manufactured making use of latest technology and modern tools. The raw materials for manufacturing are acquired from the dependable vendors whose priority list is topped by maintenance of quality. 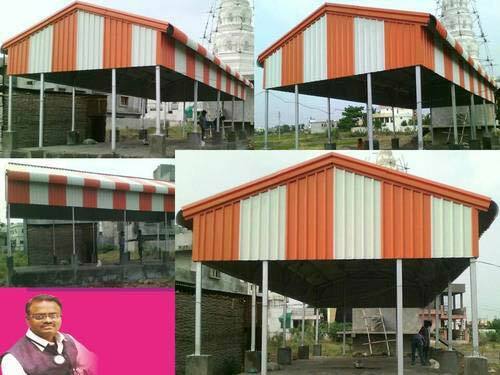 We are solution provider for all this shed from heavy to light structural shed with optimum utilization of quality basic material, advance technology and modern tools. No welding is required at site.